I’m 99% sure this book won’t end up on my favorites list this year. 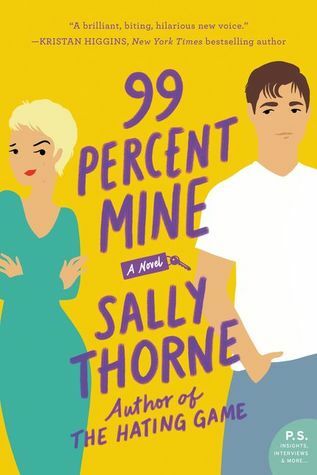 99 Percent Mine by Sally Thorne follows Darcy Barrett, a tough bartender who enjoys photography and traveling the world. After inheriting a cottage from her grandmother, however, she finds herself back in her hometown. When Darcy’s brother insists on renovating the cottage to sell, he recruits his longtime best friend Tom and Darcy’s longtime crush, Tom to complete the project. I read The Hating Game by Sally Thorne last year after countless recommendations online and ended up really enjoying it. In fact, it motivated me to pick up other new adult and adult books last year that I really enjoyed. As a result, I automatically put 99 Percent Mine on my to-buy list for 2019. Unfortunately for me, I did not enjoy this story nearly as much as The Hating Game. That being said, there are some good aspects of this book that will motivate me to pick up more books from this author in the future. Let’s start off with the main character, Darcy. If you read The Hating Game, Darcy is the complete opposite of Lucy. Darcy is a no-nonsense girl who can put the rowdiest patrons of a biker bar in their place. 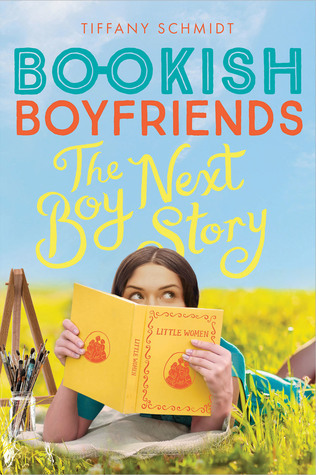 Darcy is a girl who knows exactly what, and who, she wants. She never backs down from a challenge or anyone who tries to put her down. While I relate more to Lucy in The Hating Game, I still appreciate Darcy as a character. I think all of her actions in the book aligned well with her motivations. I also enjoy that Sally Thorne created a main character drastically different from her first novel because it shows she can write a wide variety of characters. On to the romance! This aspect of the book fell flat for me. For some reason, I found it hard to connect with the relationship between Darcy and Tom. While the two had some chemistry, it never really popped off the page like with Lucy and Josh from The Hating Game. For me, the banter was not as entertaining. Additionally, since this book takes place over a shorter time span, you do not see as much of their relationship develop on the page. I also did not enjoy the whole “Tom might be still engaged” plotline that spanned the first half of the book. Overall, 99 Percent Mine failed to create the same spark that The Hating Game did for me. I think I set my expectations too high going into this book, which may have impacted my reading experience. While 99 Percent Mine is a quick and easy read, it is not particularly memorable or a book that’s on the top of my re-read list. I give this book three out of five stars. I pre-ordered this book and read it quickly after an email telling me it was sent to my Kindle. I’m a huge Kasie West fan and to say I was excited for a new book by her was an understatement. Unfortunately for me, this book was only an average Kasie West book for me. While it was fun and easy to read, I was slightly disappointed with this read and gave it three stars. This is another book that I pre-ordered and was extremely excited to read. Unfortunately again, this book did not live up to my hype for its author. I mentioned in my TBR last month that the synopsis of this book did not grab me like The Hating Game, which proved to be true. This is my “0.5” of my completed TBR. I am about halfway through this book and at a standstill. I love Brigid Kemmerer’s contemporary books but just can’t seem to get into this fantasy book. I’m hoping by putting it aside for a little bit that I can come back and enjoy it. 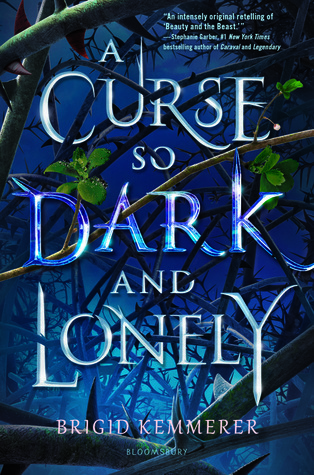 I would really like to finish A Curse So Dark and Lonely this month. I know if I put this book aside for too long, then I will forget the plot. Then, I may not be motivated to ever finish it. Hopefully, the story picks up and it can end up being a solid March read! I received this book as an eARC via NetGalley and I’m currently about halfway through it. Since I’m close to finishing this book, I know that it should be easy to quickly finish it as the beginning of the month. I also received this book as an eARC via NetGalley. The release date is at the beginning of April, so I wanted to make sure I read and review this book before its release. What do you plan to read in March? This book may be called Cold Day in the Sun, but it will warm up your heart. Cold Day in the Sun by Sara Biren follows Holland “Dutch” Delviss, a female hockey player whose team may be chosen for a widely televised hockey event. However, her team’s chance rests on her ability play up her status as the only female on the team. While some people in town show their disdain for Holland’s involvement in the team, she finds support from one of the team’s captain, Wes. I’m a huge hockey fan, so I was instantly excited when I saw this book on NetGalley. I quickly requested it and was thrilled to read it once approved. From this book, I expected a cute romance as well as some conversations surrounding the discrimination women face when they enter a male-dominated sport. While I enjoyed this quick and fun read, there were some aspects that needed some improvement to make this book a stand-out for me. I think my favorite aspect of this book was the relationship between Holland and Wes. While I do think their banter was sometimes over the top and their relationship changed to quickly from “hate” to “love”, I generally liked them both as characters and saw the chemistry between them. Their relationship also added to the conversation this book brought up about the discrimination women face in male-dominated sports due to some of the barriers they faced in their relationship, which I appreciated. I also enjoyed the main character, Holland. She is willing to call out anyone who makes a sexist comment towards her or other people. While she sometimes doubts herself and her abilities, this makes her extremely relatable to other young female readers who face the same discrimination as Holland. That being said, there were a few other aspects of the novel that fell flat for me, namely the big game constantly emphasized throughout the novel. The actual game comprises very little of the book and the ending left me very unsatisfied. The hockey games often took a large back seat to the romance, journalism, or music aspects of the novel. While I appreciated seeing some of Holland’s other interests, I think it caused some of the other aspects of the story that I was really excited about not be well developed. The game had a lot of build-up, but not a lot of reward. I also have mixed feelings towards how the feminist aspects played out in this novel. I appreciated how even though Holland played on the boy’s team instead of the girl’s team, she didn’t put down the talent and drive of the girl’s teams. However, I wished more aspects of this part of the story were fleshed out. There were people who made comments on the ice or members of the town that I wished were wrapped up in a more satisfying way. I appreciated that whenever a sexist comment was made, it was immediately shut down. Still, I wanted some big moment at the end to wrap up all the commentary provided in this novel, but I felt like I never got that. 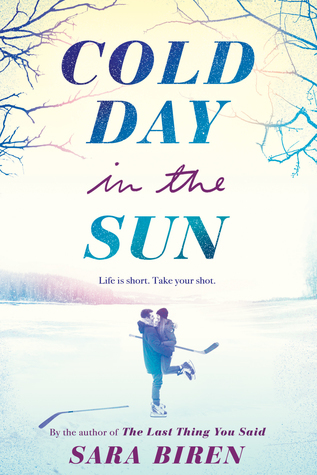 Overall, Cold Day in the Sun is a great sports romance read that is perfect for fans of Miranda Kenneally’s Hundred Oak series. I recommend this book to anyone who enjoys hockey or young adult books that heavily focus on the romance. I give this book three out of four stars. This book actually started out fairly slow for me. I hear a lot of hype going into this book and midway through I had a feeling this would only be an average read for me. However, the ending completely changed my mind. The ending of this book was extremely emotional, raw, and real. The end definitely redeemed the book for me and it ended up being a five-star read for me. 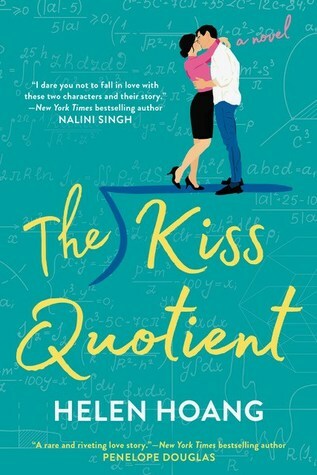 The Kiss Quotient is a quick, fun read. However, it lacked the emotional depth for me to invest in the characters and their relationship. While this was an enjoyable read, it definitely wasn’t the most memorable for me. I was so excited for 99 Percent Mine since I loved The Hating Game. I was slightly disappointed with this book because I did not love it as nearly as much as The Hating Game. Like with The Kiss Quotient, I never connected with the characters and as a result, their relationship fell flat for me. While a fun and quick read, it did not live up to my expectations. Kasie West is an auto-buy contemporary author for me and I was excited to read about Lacey, who appeared in my favorite book by this author, Love, Life, and the List. However, I’m not a big fan of books involving celebrity and movie sets. Sadly, this book was no exception. Sometimes, Kasie West’s books can be a little all over the place in terms of plot. Unfortunately, this book followed that format. While cute, the relationship also isn’t my favorite out of her books. I’m not a big mystery/thriller type of person, but I heard nothing but positive reviews about this book. I think the hype of this book took away from some of my enjoyment. I understand the message this book wanted to convey, but I found the ending unsatisfying. Plus, sometimes the podcast aspect which was really relevant and unique, bored me because it was like playing catch up on already known information. Sarah Dessen is one of my favorite young adult authors and Colby Beach is a staple location in many of her books. I would love to shop at Clementine’s, pick up some snacks, or eat the legendary onion rings and pie. Meade Creamery not only has amazing ice cream, but boasts a long history of a female-run business. I would love to show my support for Meade’s Creamy by purchasing some delicious ice cream! Who wouldn’t want to visit the City of Starlight? I would love to visit this city to see some of my favorite characters. Thorne is one of my favorite characters from The Lunar Chronicles, so I would love to chance to travel on his ship. I would not want to necessarily visit the Court of Faerie. However, I would love to be a fly on the wall to learn all the secrets about the people inside. After reading this book, I wanted nothing more than to go to a boarding school in France. Perkins included a lot of descriptions about places and food that I couldn’t help but wish to travel there! Jenna Evans Welch does an amazing job describing scenery and this book was no exception. I felt like I was in Ireland while reading this book. However, I’ve never actually been to Ireland, so this book makes me want to travel there and experience it for myself. I loved how much this book focused on the setting, culture, and family. Like with Love & Luck, I felt like I was actually there! Now, I need to actually travel there and experience it for myself. 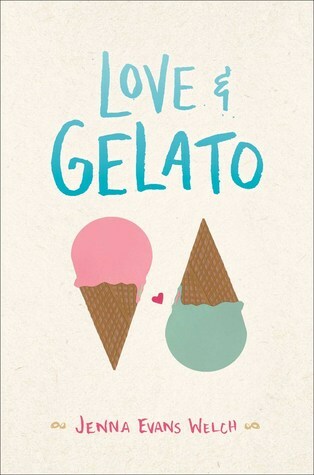 Like with Love & Luck, Jenna Evans Welch did an amazing job describing the location and culture of Italy in this book. Her books always make me want to travel somewhere new! I absolutely loved The Princess Diaries when I was younger. I always wanted to visit Genovia! What are some places in books that you would love to visit? 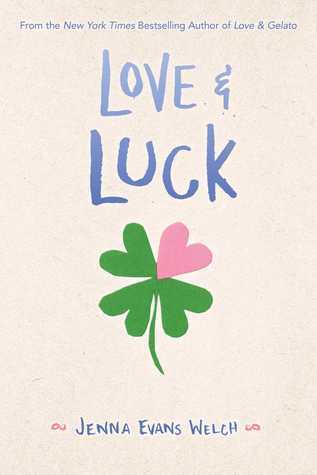 Thanks for nominating me Books, Life, and Other Oddities! 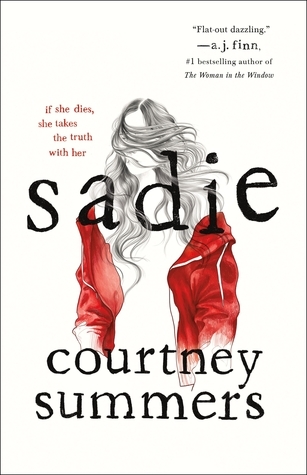 Right now, I am reading Sadie by Courtney Summers. I’m not typically interested in mysteries/thrillers, but I have heard nothing but good reviews about this book, so I decided to pick it up! I’m not very far in, but I think the podcast concept is interesting and very relevant. I have read seven books so far: Snow in Love by various YA authors, Famous in a Small Town by Emma Mills, The Wicked King by Holly Black, Eleanor Oliphant in Completely Fine by Gail Honeyman, The Kiss Quotient by Helen Hoang, 99 Percent Mine by Sally Thorne, and Fame, Fate, and the First Kiss by Kasie West. It’s so hard to pick just one! The top five books in my annual Brittany Awards were Love, Life, and the List by Kasie West, The Names They Gave Us by Emery Lord, Save the Date by Morgan Matson, Stay Sweet by Siobhan Vivian, and How to Say I Love You Out Loud by Karole Cozzo. My most anticipated read of 2019 if The Rest of the Story by Sarah Dessen. Her books were a staple during my middle school/high school years and she’s the author of my favorite young adult novel, Just Listen. This book sounds like classic Sarah Dessen compared to her more recent releases, so I’m very excited to pick this one up! I cannot read with music! It’s too difficult for me to follow along and concentrate on the book I’m reading. I like books in the middle! A lot of times, I’ve found that long books have a lot of unnecessary parts. Meanwhile, books that are short often leave me feeling unsatisfied. However, there are always exceptions! I like to read on the couch or in my bed! Everyone makes fun of me for this, but I really, really love carrot cake! However, I mostly get cookie cakes for my birthday (does that really count as cake?) because I have a twin sister. Since we share a birthday, we share a cake and cookie cake is something we can both agree on. It rhymes with tone the way that I say it! My favorite mythical creature is a unicorn! This is widely known by friends and family who always put my presents in unicorn bags, get me unicorn presents, or make group chats that make me the unicorn emoji in the title. Currently, I am working in my dream job! I’ve wanted to be a teacher since I was in elementary school. Now, I am an elementary special education teacher. What is your favorite television show or Netflix show? What was your most recent five star read? What was the most recent movie you watched? What genre do you hope to read more from in 2019? How many books do you want to read in 2019? The Wicked King by Holly Black picks up after the events of The Cruel Pri nce, the first book in The Folk of the Air series. Jude and Cardan navigate the politics of the faerie world, but Jude worries that someone may betray her. Jude investigates to discover the person before it is too late. 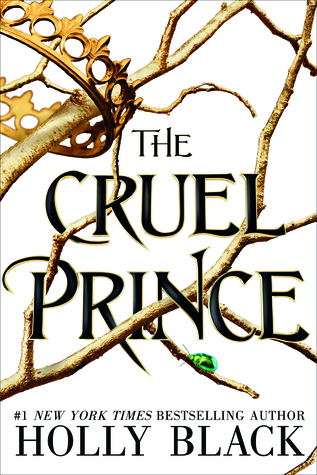 I read The Cruel Prince after it was released last year (see my review here). After finishing A Court of Thorns and Roses, I was eager to read more fantasy books set in a faerie world. While I was impressed with Holly Black’s writing style, I was disappointed that the book did not feature as much politics as I expected. Additionally, the characters, which is a major hook for me into a story, did not manage to stand out amongst other YA fantasy books. However, the cliff hanger ending convinced me to carry on with the series. 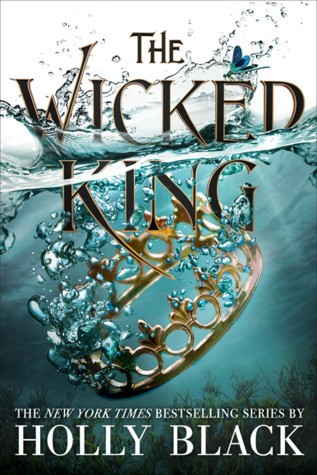 I am glad that I continued on with this series because, in my opinion, The Wicked King was much more enjoyable and interesting than The Cruel Prince. While I do stand by some of my claims (which I will get into later) from the first book, I found the areas that were lacking in the first book for me were much improved in the second installment. Overall, this was one of my favorite books of the year thus far and I am eagerly anticipating the third book in this series. Now, onto the review! 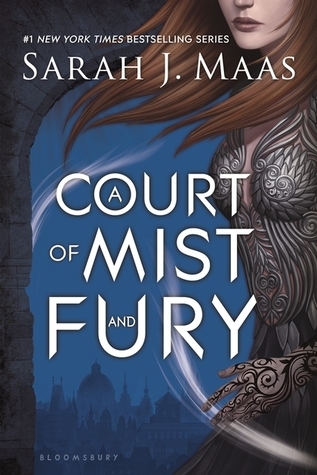 As for the main characters, Jude and Cardan, I found them much more complex and fun to read about than in the first book. With Jude, I found there was a lot more telling than showing with her intellect regarding politics in the first book. However, this was the complete opposite in The Wicked King. As for Cardan, I found that we saw a lot of his awful actions in the first book, but did not see as much of his true manipulation abilities. 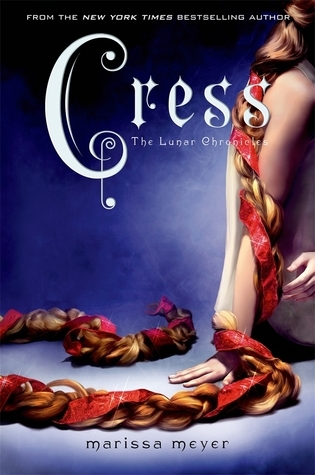 Since Jude is closer to Cardan in this book, readers see that Cardan’s cruelty extends far more than his actions, which leads to an incredible cliff hanger at the end of the story. Regarding the “relationship” between Jude and Cardan, it’s a little complicated. For me, Jude and Cardan are by no means “couple goals” due to the way they manipulate each other which one of my biggest gripes with The Cruel Prince because I felt like that wasn’t clear. However, I think this book makes it more clear that Jude and Cardan are very manipulative people who are not going to change by simply being in a relationship as their personalities are much more developed in this book than The Cruel Prince. While Jude and Cardan are not an OTP for me, how they act in this “relationship” is true to character. That being said, if you do not like seeing unhealthy relationships in this book, it may be one to skip. Looking at the pacing and writing style, I could not put this book down. Holly Black has a writing style that is clear and concise with her word choice. So many times, I found myself using the dictionary feature of my Kindle because I loved the word choices she used. Her pacing was also spot-on. There were so many twist and turns, sub-plots, and surprises that kept me turning the pages. You see so much for of the faerie world and customs in this story, but it is woven so well together that nothing feels like an info dump. Plus, THAT CLIFFHANGER! How can I wait one more year to find out what happens next? Overall, I really enjoyed my reading experience with The Wicked King. The characterization, world-building, and pacing were all that I was looking for when I picked this book up. I give The Wicked King five out of five stars. Zora and the Greyhounds was one of the first books that I received a copy of via NetGalley, so it will always hold a special place in my heart. This story was really cute, it followed a dog who wanted to race with much bigger dogs, and also gave an inspiring message to younger readers. 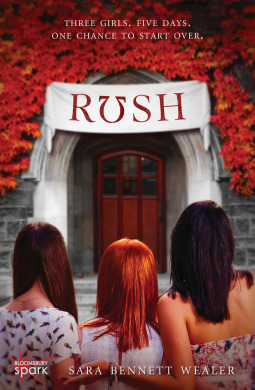 Rush by Sara Bennett Wealer follows three girls going through sorority recruitment. I was interested in this book because I was in a sorority in college and rush was always an exciting time. 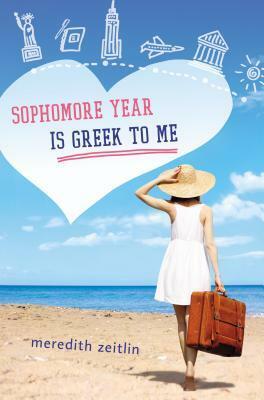 It saddened me that this book solely focused on negative sorority experiences. While those do exist, I felt like this book was extremely unrealistic and relied more on stereotypes than an actual story. 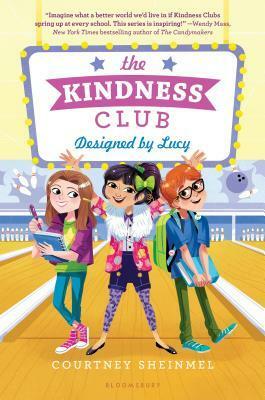 I requested the second book in The Kindness Club after reading the first book in the series and enjoying it. 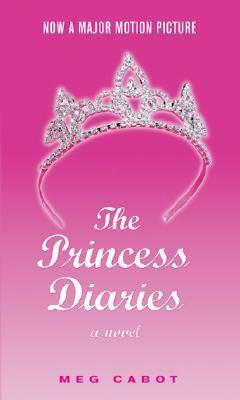 Like the first book in the series, it was a cute book with a good message although a little forgettable. I would describe this book as late middle grade/early YA. I received this book as an eARC from the publisher. 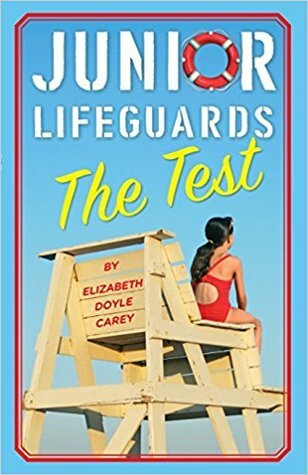 I enjoyed learning about junior lifeguards, which I didn’t know much about, but I wasn’t a huge fan of some of the characters. 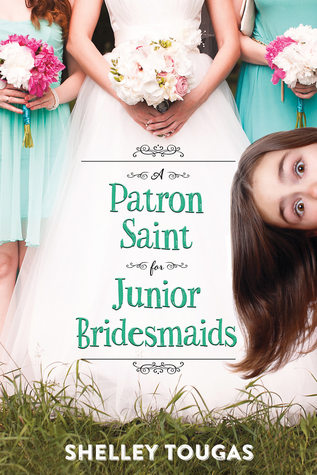 This was another middle-grade book that I received via NetGalley. While I enjoyed some aspects of this book, I wasn’t a fan of the romance and found it unnecessary. 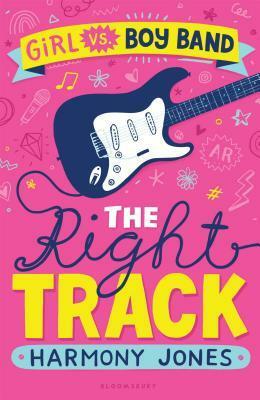 I was a huge fan of another Courtney Shienmel middle grade novel (Sincerely) and requested this when I saw it on NetGalley. 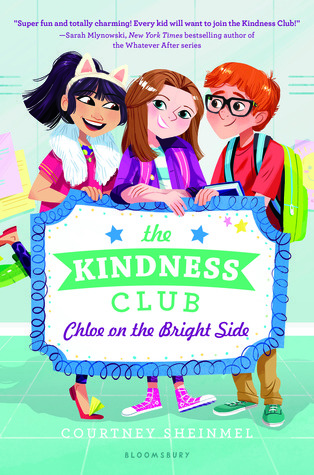 The Kindness Club is definitely more commercial than Sincerely and contains a lot of tropes, but it was still a cute story with a fun message. 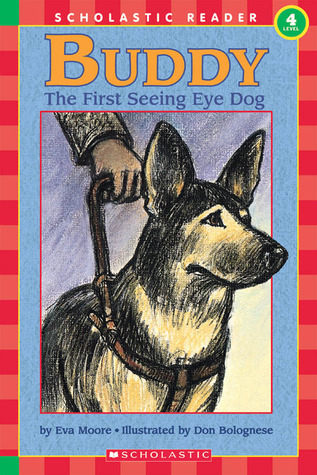 This is a non-fiction book was the first seeing eye dog in America. 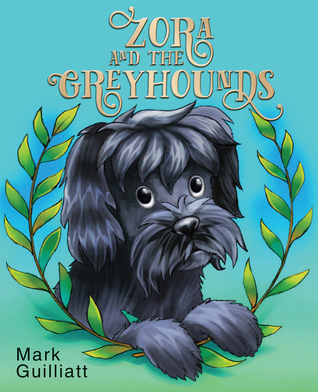 It’s an easy to read book that many children will read since it focuses on a dog. 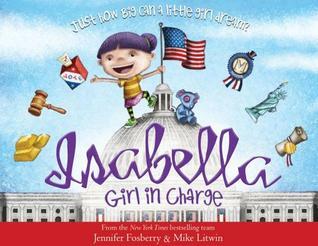 Isabella: Girl in Charge is a great introduction to notorious women involved in politics and government in the United States. This is a picture book, so it is a great non-fiction pick for young readers. All I Want for Christmas is You is such a cute Christmas picture book! 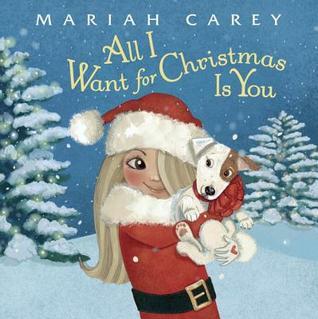 It combines the popular Christmas song with illustrations that show a girl getting a dog for Christmas. There’s also a cute one-hour long movie that goes along with this book (but is not included with the book). I picked up this book at my library because it sounded really interesting. A young girl is forced to live with an aspiring boy band that her mom manages. 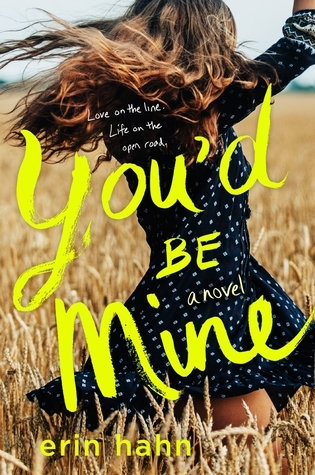 I liked how this book showed the story from a different point of view (romance was not the driving part of the storyline), however, some aspects of the story fell a little flat for me. What are some of your least rated, but most loved books? 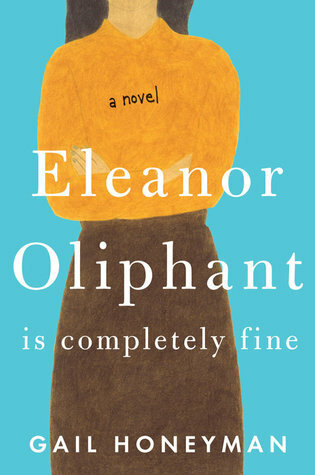 I recently read Eleanor Oliphant is Completely Fine and really loved it. The first half of the book moved a little slowly for me, but the second half was absolutely amazing. I’m not much of a crier when it comes to books, but I cried multiple times while reading this book. Honestly, I have not read a dystopian in a really long time. I am afraid I do not have any dystopian books to love this Valentine’s Day. Let me know if there are any recent dystopian books that you loved in the comments! I read Catwoman: Soul Stealer at the tail end of 2018. Everyone talks about books by Sarah J. Maas, but this one definitely does not get as much love as Throne of Glass or A Court of Thorns and Roses. This was actually one of my favorite books written by Sarah J. Maas and I wish more people talked about it so I could share my love for it! I absolutely loved Nikole and Carlos from The Proposal. Their relationship was very realistic which made me love it even more because I felt like I could find my own Carlos in real life. I really appreciated how healthy their relationship. They shared a mutual respect for each other and were able to follow their own passions while in a relationship which was refreshing for me to read. 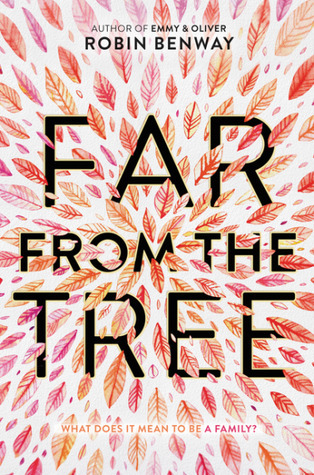 I’ve seen a lot of love for Far from the Tree in reviews, but I have not read it yet. This book seems right up my alley and I do have it downloaded on my Kindle, so it’s just a matter of time before I fall in love with it too. 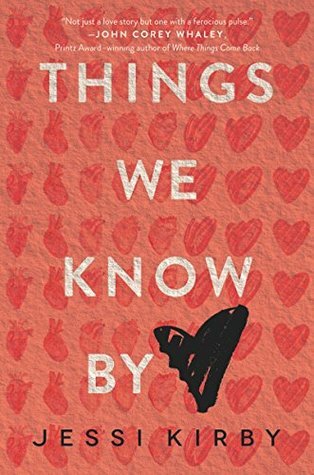 Things We Know by Heart by Jessi Kirby has red and hearts on the cover. Since this is The Valentine’s Day book tag, I think I should get some bonus points. That aside, this book really wasn’t my favorite and I think it pushed some boundaries that made me slightly uncomfortable. See my full review here. 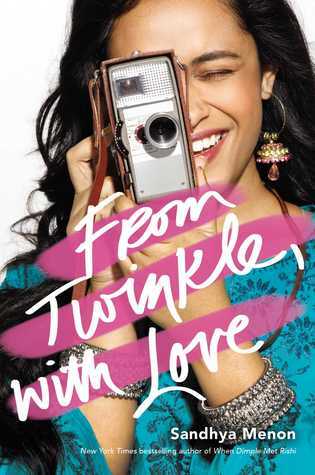 From Twinkle, with Love has some pink spread across the cover. 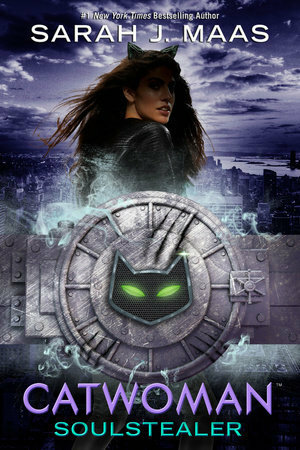 Unfortunately, I wasn’t very in love with this book due to the questionable actions of the main character. See my full review here. You were given a box of chocolate. Which book boyfriend/girlfriend gave it to you? I don’t like including duplicates on book tags, but I would say Carlos Ibarra from The Proposal. He’s definitely my new book crush and would love to receive chocolate from him. You are single on Valentine’s Day. What book do you read? What movie do you watch? What TV show do you watch? 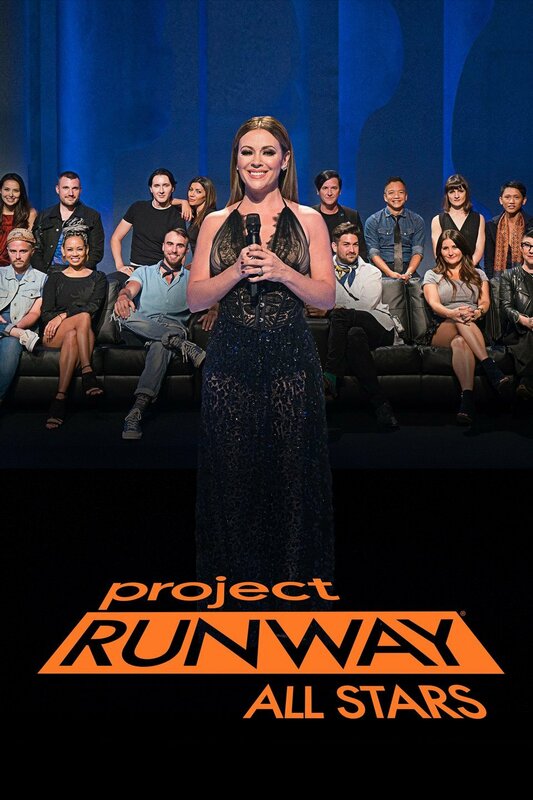 Project Runway All Stars is one of my favorite shows. It airs on Wednesday nights, but I always watch it on Thursdays, so I will be watching it tonight! You are in a book store. All of a sudden you get shot with an arrow by cupid. What new release will you love? 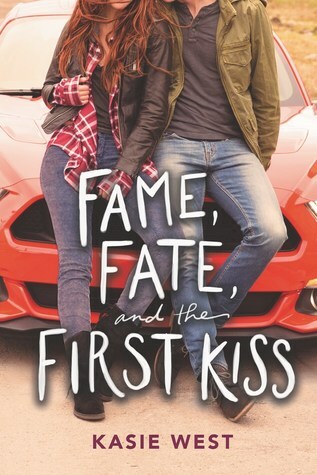 I think the new release I would love if Fame, Fate, and the First Kiss by Kasie West. I have been anticipating this book and absolutely love all of Kasie West’s books. This adult romance was a home run! 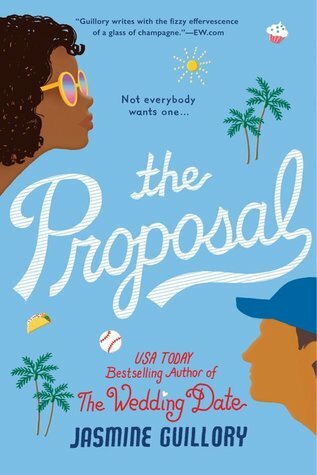 The Proposal by Jasmine Guillory follows Nikole, who is unexpectedly proposed to by her actor boyfriend at a baseball game. When she rejects his proposal and faces wrath from the media, pediatrician Carlos Ibarra comes to her rescue. While both believe that they are not in the position for a relationship, they start to develop feelings for each other. I have not read The Wedding Date, which is the first novel in this companion series, but was looking for a cute contemporary to read and saw this in my library’s e-book collection. I didn’t remember hearing great reviews for The Wedding Date, but decided to give The Proposal a shot anyway. I am so glad that I gave this book a chance because I ended up really enjoying it! For me, the best part of this book were the two main characters, Nikole and Carlos. For an adult romance book, I found them to be more developed than other main characters in this genre that I’ve read in the past. Both have their own passions, outlook on relationships, and past experiences that affect their actions in this book. Nikole, who feels discouraged about her writing and independence, focuses on herself by taking self-defense classes and focuses her writing on what she loves. On the other hand, Carlos is passionate about taking care of his family, but also learns that he needs to take care of himself as well. Another high point of this book was the relationship. It’s difficult to find an extremely healthy relationship in books nowadays where both members of the relationship hold an equal amount of power and share mutual respect. I found the relationship between Nikole and Carlos to check all of those boxes. On top of that, I found their relationship to be very genuine and real. Aside from how they met, I felt like I could have my own story like Nikole and Carlos which made me love them even more. Overall, I found very little problems with this book. However, it is a long book and I know some people may be bored because it is so realistic. I give this book five out of five stars.